I painted this with vintage tote tickets in the background. 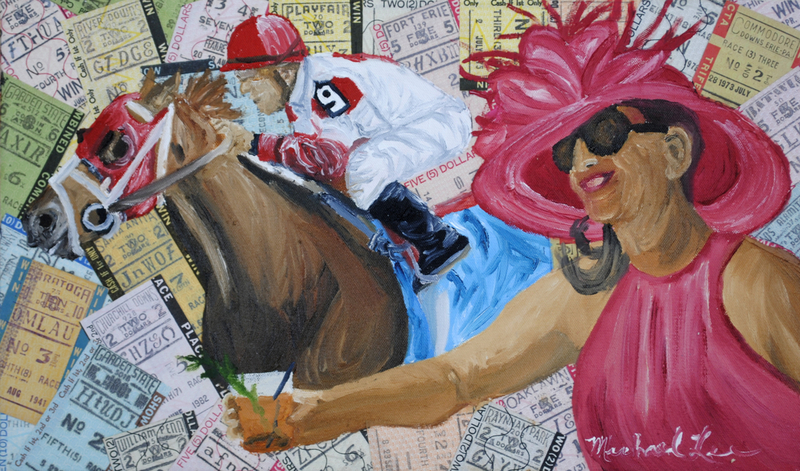 This is a new direction I am taking in my horse racing series. 5" x 8.5"7" x 12"9" x 15.25"11" x 18.75"12.75" x 21.5"